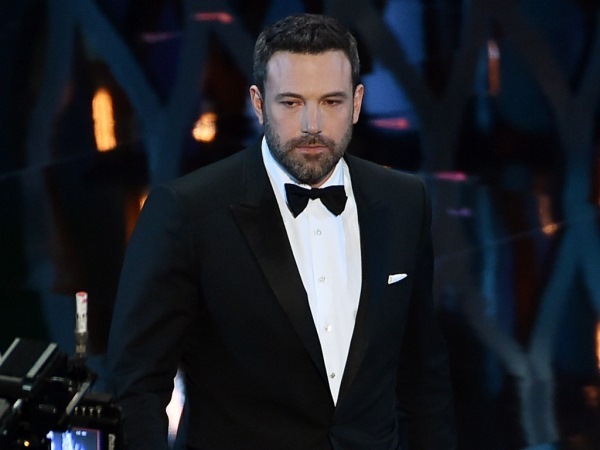 Ben Affleck is reportedly “devastated” that his marriage has failed. The 42-year-old actor and his 43-year-old estranged wife announced the breakdown of their ten-year marriage in a statement on Tuesday. But before the pair made their split official, they worked hard to fix their relationship issues. And now the break-up has been made public, Ben is said to be struggling to come to terms with his new single status. "He's devastated. Nobody intends to go down this path," a source told People.com. "They both battled, and he really battled to try and save the marriage but ultimately it was the best thing for the kids and for him and Jen." Ben and Jennifer are parents to nine-year-old daughter Violet, six-year-old Seraphina and three-year-old son Samuel. And the former couple are said to be united in the fact that they want to make the break up as easy to handle as possible for their offspring. According to the source, Ben has been continuing to live at their marital home in Los Angeles, despite the pair having split around ten months ago. And the couple are apparently using a mediator in order to divide their assets as fairly and easily as possible. "They've been separated for ten months but he was living at the house," the source said. "These are things that they have consciously done because they want to make sure that this is as easy as they can make it on the kids." The pair were rumoured to have been undertaking couples’ therapy for years in an attempt to mend their issues. And the sessions aren’t the only method the husband and wife used to try and save their union. “These are two people who really tried to save their marriage and worked really hard at it," the source concluded. "Ultimately they had grown apart and they did what was best for their kids."